If you're looking for a casual yet totally stylish look, try teaming a black cropped top with a white pencil skirt. Both items are totally comfy and will look fabulous together. 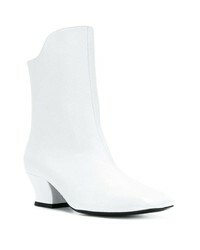 Go for a pair of white leather ankle boots to instantly up the chic factor of any outfit. If you're on the hunt for a casual yet totally stylish look, dress in a hot pink coat and black embellished jeans. Both items are totally comfy and will look fabulous paired together. 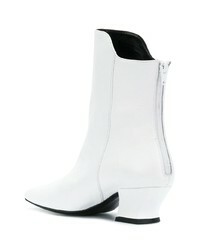 Add a glam twist to your getup with Dorateymur han boots from farfetch.com. So as you can see, looking stylish doesn't require that much effort. Just rock an olive trenchcoat and you'll look incredibly stylish. When it comes to footwear, this look is finished off brilliantly with Dorateymur han boots. Stylish yet comfy, this outfit features a green and red shirtdress. 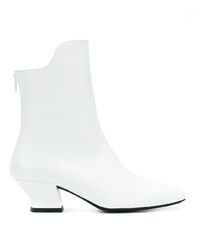 Perk up your outfit with Dorateymur han boots from farfetch.com. If you're on a mission for a casual yet totally chic getup, marry an olive trenchcoat with a white midi dress. Both items are totally comfy and will look fabulous paired together. When it comes to footwear, this look is finished off perfectly with Dorateymur han boots from farfetch.com. If you're looking for a casual yet totally chic outfit, wear a beige crew-neck sweater with grey skinny jeans. Both pieces are totally comfy and will look fabulous paired together. 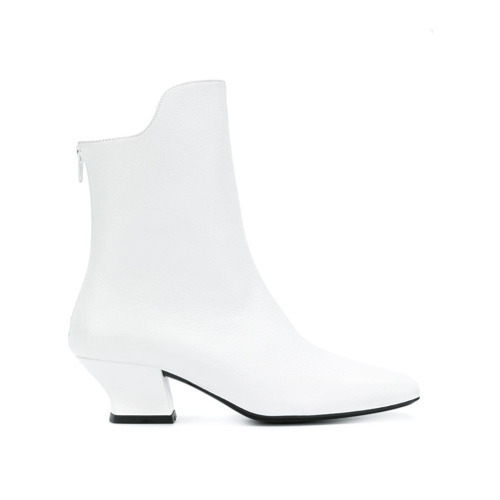 And if you want to instantly amp up the style of your look with one piece, enter white leather ankle boots into the equation. If you don't like getting too predictable with your combinations, wear a beige coat with blue ripped jeans. Kick up the cool of your ensemble by complementing it with Dorateymur han boots. This combo of a brown plaid blazer and light blue jeans is clean, absolutely chic and oh-so-easy to replicate! Let's make a bit more effort now and rock a pair of Dorateymur han boots. We're all seeking comfort when it comes to dressing up, and this combination of a dark green quilted bomber jacket and white ripped skinny jeans is a practical illustration of that. Take a classic approach with the footwear and go for a pair of Dorateymur han boots.